Original handwritten lyrics from personal archives and notebooks (many never-before-seen) offer a unique glimpse into the heart of the creative process, and some of the greatest names in photography, including Jill Furmanovsky, Pennie Smith and Sheila Rock, have contributed stunning portraits of each artist. Expect some hand-written lyrics from Chris Difford as well as photos by me (not listed in the list of the greatest names in photography above!) of Chris and Glenn and some rare archive material. The essential word on classic British songwriting; as told by the songwriters themselves. 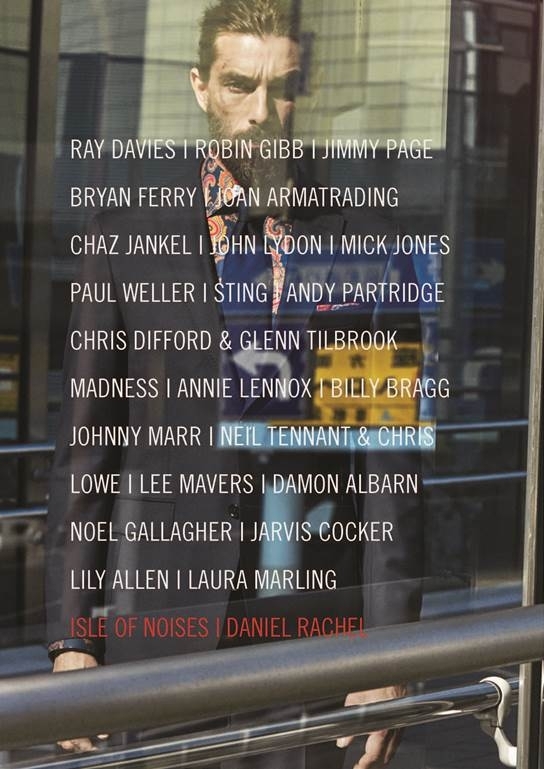 Isle of Noises features brand-new, exclusive, in-depth conversations with twenty-seven of the UK’s greatest living musicians. Artists discuss their individual approach to writing, the inspiration behind their most successful songs, and the techniques and methods they have independently developed. It is an incredible musical journey spanning fifty years, from ‘Waterloo Sunset’ by Ray Davies to ‘The Beast’ by Laura Marling, with many lyrical and melodic secrets revealed along the way. Original handwritten lyrics from personal archives and notebooks (many never-before-seen) offer a unique glimpse into the heart of the creative process, and some of the greatest names in photography, including Jill Furmanovsky, Pennie Smith and Sheila Rock, have contributed stunning portraits of each artist. The combination of individual personal insights and the breadth and depth of knowledge in their collected experience makes Isle of Noises the essential word on classic British songwriting – as told by the songwriters themselves. A great set of questions. I’m proud to be part of this project. Ray Davies I was astounded by Daniel’s knowledge and even after all these years to be asked original questions that surprise you was very impressive. Robin Gibb I know you’ve had glowing reports from others – it’s really interesting how you did it. Jimmy Page I’ve always been very wary about analysing songwriting. It’s always been a mystery to me where ideas come from. Bryan Ferry I enjoyed the conversation very much. What did the guys have to say? Joan Armatrading Really good questions. It’s nice to speak to someone with some musical knowledge who’s smart. That’s unusual. Sting I want to read what Ray Davies said; a hero of mine. Andy Partridge One of the best and most challenging interviews I’ve ever done. Great. Glenn Tilbrook What you’re doing’s great and very important. The questions are brilliant, really interesting . . . sometimes you know straightaway if someone’s going to be trotting out the same old stuff. You’ve obviously got a real feeling for the esoteric, romantic and spiritual side of it. Johnny Marr It’s a really interesting project. I bet no one says the same thing. Damon Albarn I hope I’ve been able to shed some light onto my weird brain. Daniel Rachel was born in Solihull in the summer before The Beatles announced their break-up. He wrote his first song when he was sixteen and was the lead-singer in Rachels Basement, which he formed in his early twenties. In 2001, he released his debut solo album, A Simple Twist Of Folk, on Dust Records, followed in 2006 by A Taste Of Money. Daniel is a specialist in Forum Theatre direction and lives in north London with his partner and three children. Isle of Noises is his first book. 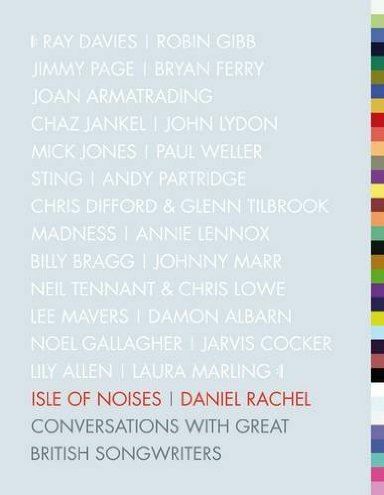 For more information and exclusive material, please visit www.isleofnoises.co.uk. One Response to "Glenn and Chris featured in great new songwriters’ book"